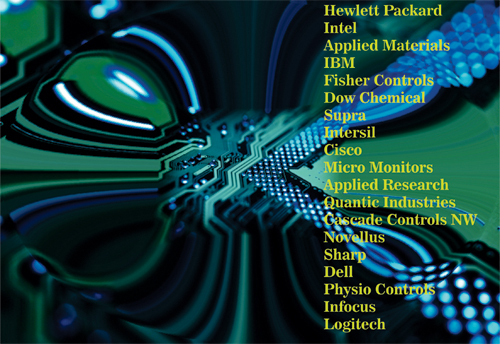 25 years experience designing high density multi layer PCBs., BGAs, power supply SMPS ( high power 90 amp for IBM servers and low power POL for Dell), test fixtures for Celestica, digital, analog for Logitech (low noise audio op amps for the recording industry, instrumentation amps and measuring circuitry for Intel), and RF for Novellus, Applied Materials. We have worked with many engineers over the years and one thing they all have in common is their desire to oversee the progress of the design. Communication is a must for today’s fast paced design cycles. Working in conjunction with Mechanical Engineering is important as well as designing for DFM. Our libraries have been factory tested and IPC approved.